When it comes to sewing it is important that you take accurate measurements in order to ensure the final project fits properly. Not only will an accurate measurement help to ensure a proper fit, but it’ll also help you to create professionally looking finished projects. So before you get started, you will need to make a small investment into some sewing measuring tools that will help save you time and money in the long run. And here is just a short list to help you get started in your sewing adventures. Some of these are a must-have, while others are simply to make things go quicker and easier for the professional seamstress. If you are a hobbiest, you might get away with only a few, but if you are a professional, you might want to invest in them all in order to be prepared for whatever lands on your sewing table. Once you make a cut in your material you cannot undo it. And if it’s not correct, the material will be ruined forever. As a professional seamstress, that is the last thing you want is to do, especially when it comes to someone else’s garment or any other material that a customer may have entrusted you with. Therefore, in order to save yourself time and money, proper sewing measuring tools are essential. Depending on the project, you will need them to take accurate measurements of things like the body, an object (such as a pillow or couch), and of the pattern, to ensure a proper fit of the final project. And each type of measurement requires a different type of tool to obtain an accurate measurement. A flexible sewing tape measure usually measures about 60 inches long and 5/8 inches wide. 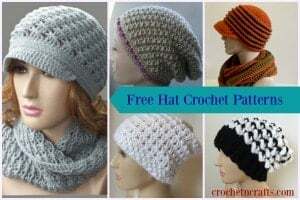 It is generally reversible with inches on one side and centimeters on the other to help take a more accurate measurement. The flexible material will not stretch, and can easily be rolled up when not in use. Because of its flexibility, it is a must-have tool for taking accurate body measurements. It can also be used to measure circles on the fabric by standing it up on its edge. A yardstick has both inches and centimeters and comes in handy to measure the grainline of the fabric when laying out the pattern. This tool comes in handy for measuring the amount of fabric you need. You see them being used at the fabric stores all the time when you go to make a purchase. At home, they’ll come in handy if you’re working on large projects such as curtains, large one-piece bedspreads and other similar projects. Rulers usually come in 12″ or 18″ lengths and are used for general markings such as straight lines. It’s a great tool to have for a number of projects. If you don’t have one, you can use a see through ruler. A see-through ruler usually measures about 12″ or 18″ and allows you to see your previous markings. It is great for marking straight edges and parallel lines, buttonholes, tucks and pleats. It can also be used to check the grainline of the fabric. An absolute must-have because it makes life so much easier! A seam gauge is a small ruler about 6″ long with a sliding marker. It has inches on one edge and centimeters on the other edge. It is a great tool to help make accurate measurements for seam allowances, hems, pleats, buttonholes, and for various alterations. A See-through T-square is great for locating cross grains, altering patterns and squaring off straight edges. The curve runner is great for measuring curved areas on the fabric. It is see through, which makes it super easy to measure accurately. If you plan on making a lot of dresses then you will definitely want to invest in one of these. A ring ruler helps you to measure out circles of various sizes. It’s a great tool to have on hand if making round pillows and other home decor projects. 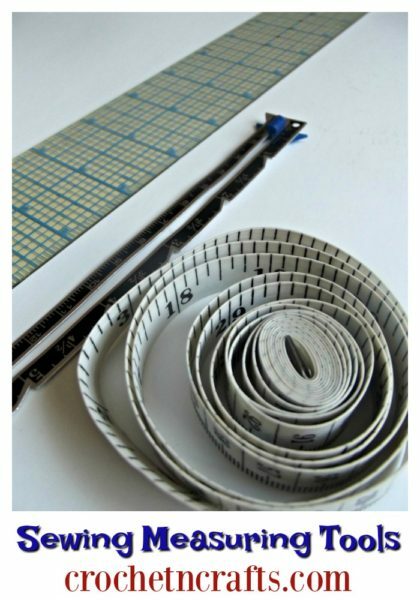 The above measuring tools are all you need to get started with in sewing. As your sewing skills become more advanced you may want to invest and experiment with more advanced tools to help you do your job more efficiently. These are just the basics, but there are many measuring tools with different shapes, measurements, sizes and neat gadgets to choose from. Visit your local sewing center, or shop online to find the tools you need. You can find more sewing articles here to help you get started. Last, but not least, which measuring tools do you prefer and use on a regular basis? ?This is super helpful I learn about measuring ?